Israeli PM joints leaders from across Arab world at Warsaw conference to plan response to growing Iranian threat in Middle East. Israeli Prime Minister Binyamin Netanyahu landed in Warsaw, Poland Wednesday morning, ahead of a two-day Middle East security conference in the Polish capital set to begin Wednesday afternoon. The meeting, hosted by the Polish government and the US, is expected to draw leaders from more than 60 countries, including representatives from across the Arab world. While the gathering will address the prospects for peace and security in the Middle East generally, Iran’s nuclear program, missile development, and proxy wars in Syria and Yemen are expected to be the primary focus, leading Russia to denounce the conference as “anti-Iran”. As he departed for Warsaw, Netanyahu explained the importance of coordinating the international response to “Iranian aggression” and Tehran’s aspirations for a nuclear weapons capacity. “This is a very important international conference in Warsaw. The focus is Iran. This brings together Israel, the US, and countries in and beyond the region. There will be interesting meetings there,” Netanyahu said. The prime minister alluded to Israel’s military strikes in Syria against Iranian forces there, and noted Iran’s links to terrorism outside of the Middle East. 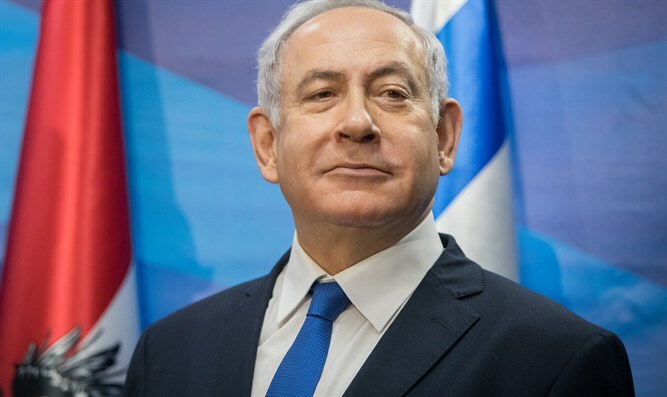 Netanyahu is expected to meet with US Vice President Mike Pence, Secretary of State Mike Pompeo, and Polish Premier Mateusz Morawiecki. Before his departure, Netanyahu warned Iran and proxy groups like the Hezbollah terrorist organization that Israel’s military capabilities placed them within reach. Last month, European Union foreign affairs chief Federica Mogherini said she would not be attending the conference, citing scheduling conflicts. The EU has maintained support for the 2015 Iran nuclear deal, hoping to salvage the sanctions relief provided by the deal despite the Trump administration’s decision to reimpose comprehensive sanctions. In late January, the EU said it would soon launch a conduit for conducting business with Iran, allowing companies to avoid American sanctions.